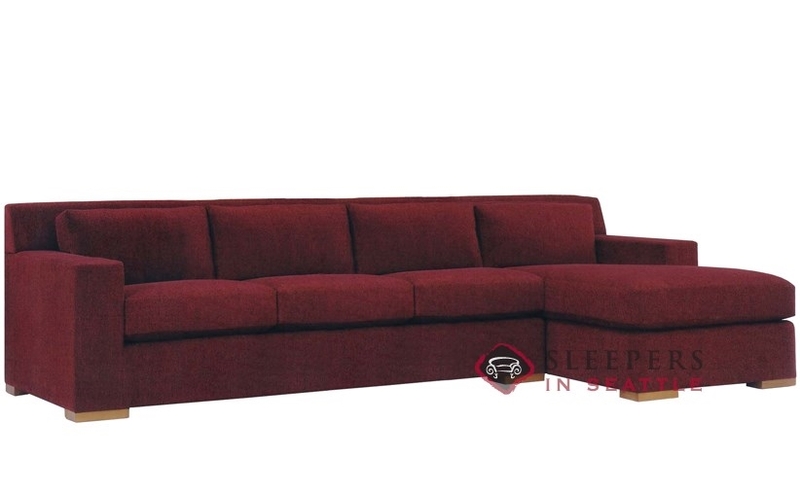 Wide track arms on the Corvo Chaise Sectional with 3-Cushion Queen Sleeper Sofa by Lazar make a statement that won't be missed. Comfort and quality also abound, as the Corvo is made in the USA from all kiln-dried hardwood and carries a lifetime warranty. 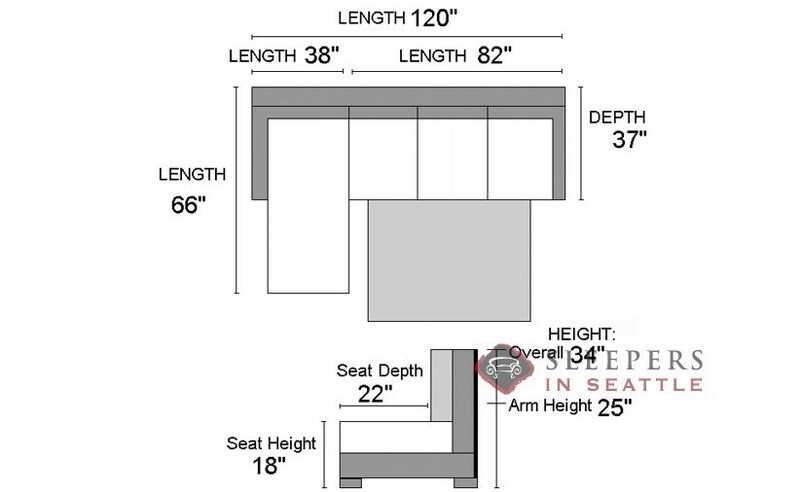 Shorter back cushions with a strong backframe provide comfort and support regardless of a person's height. With tons of custom options, you can select from hundreds of fabrics and leathers--and even over 15 different foot options! Lord have mercy. What a god send this couch is. I've been looking for a sleeper like this for ages, so glad I finally found one within my price range. 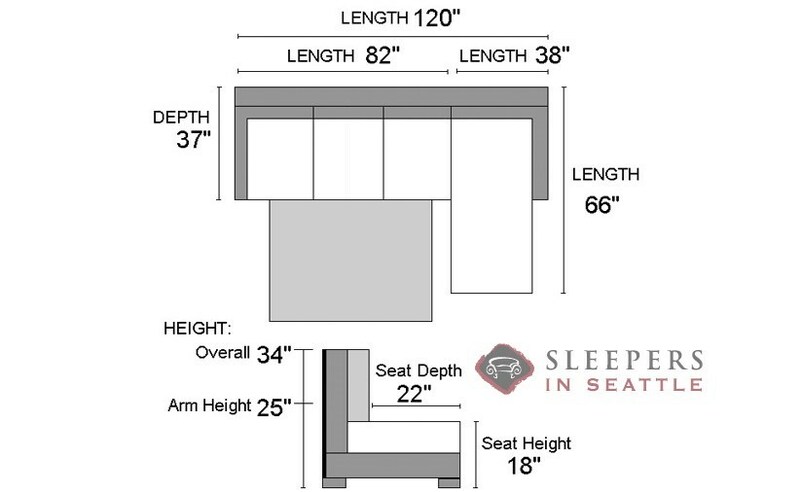 Good work Sleepers in Seatown!